Cover Reads: I Child-Proofed My House But They Still Get In. We know how to protect overly curious and possibly suicidal toddlers from the many unimagined dangers lurking in every home like electrical outlets, appliance cords and other everyday items that most adults don’t give a second thought to. But have we given any serious thought to the clear and present danger of how to protect long-suffering mothers across the land from the antics of their over-active broods? 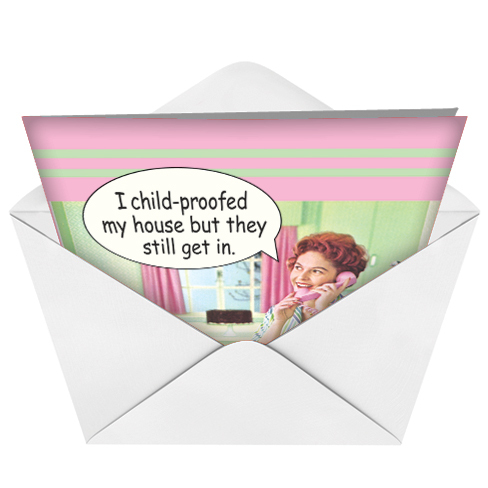 Childproofing takes on a different meaning in this snappy Child-Proof House Mother’s Day Funny Greeting Card from NobleWorks Cards. Designed by Ephemera, one of our favorite creators of greeting cards with attitude, the heartwarming vintage art contrasts wonderfully with the surprising punch line. 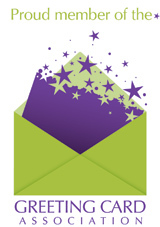 A truly childproof house is something any mom could appreciate — especially on ultra-bratty days. These cards for Mom from child kamikazes give a new and insightful take on childproofing that any mother will all too readily understand. This hilarious Mother's Day card is sure to bring a smile to Mom's face on her special day. Although she's locked the doors and windows, the kids are still able to get in. 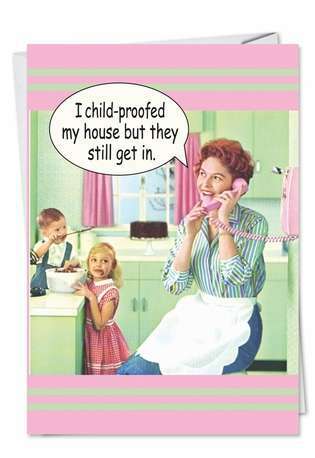 Even if she can't completely childproof the house, Mom should at least have a stress-proof Mother's Day. Perfect for friends and family, this card and your promise of taking her kids out for a day of entertainment — so she can enjoy a few blissful, hassle-free hours to herself — make a perfect Mother's Day gift. Your card was well received by my mom for Mother's Day. And I was especially impressed with the neat packaging.